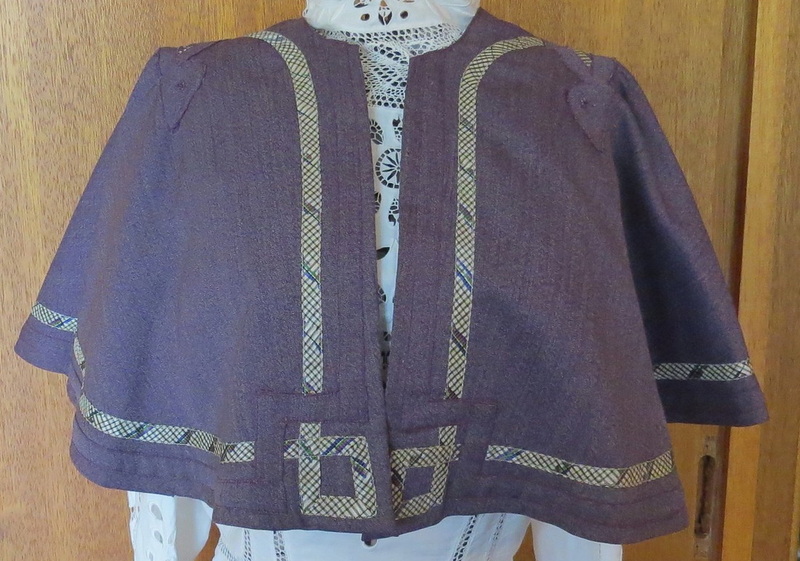 Coats and capelets 1: Edwardian and late Victorian: mostly one size fits all. See Women's Hats on last page of Coats. CVW2Vi Victorian wool capelet. Length30cm, sweep around lower hemline 111. Rental $45, purchase $95. CEW1 Edwardian duster (automobile coat), wool. CEW1 back. Soutache embroidery in iris design. 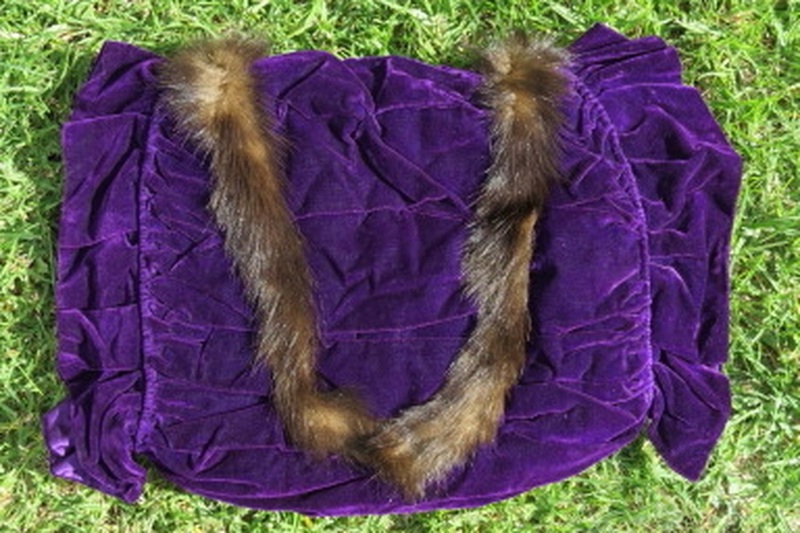 Cvel4 Large Victorian velvet muff. Rental $25, purchase $60.